Beautiful silver ring with four birth stones and names. Add the ring extra personally by adding an inside engraving. A great way to keep your loved ones always close to you! 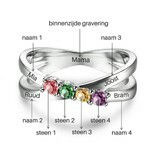 ♥ Pick the stone that corresponds to the birth month of your child / lover. 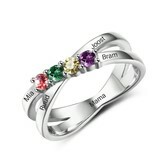 ♥ The ring has space for four names of up to 9 characters per name. 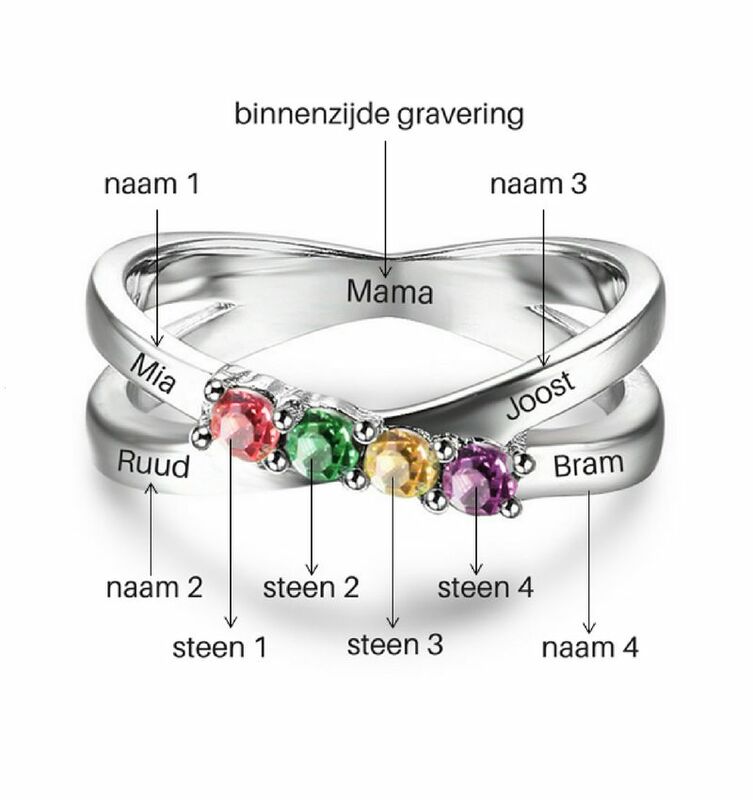 ♥ We can engrave up to 20 letters in the inside of the ring. ♥ Packed in a luxury gift box, ready for gift delivery. ♥ Do you doubt the size, please order our custom rings for € 2.95.